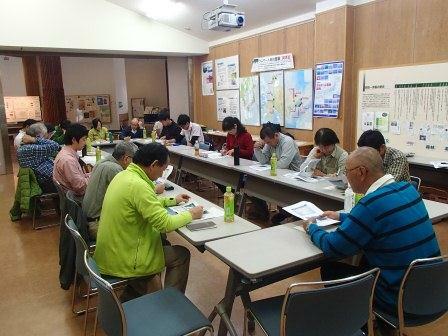 From 23 August to 5 October 2016, KIWC ran a training program under commission from the JICA Hokkaido International Center (Obihiro). The aim of this training was to provide insight into eco-tourism programs involving local residents as a tool for the conservation and sustainable use of local natural and cultural resources. 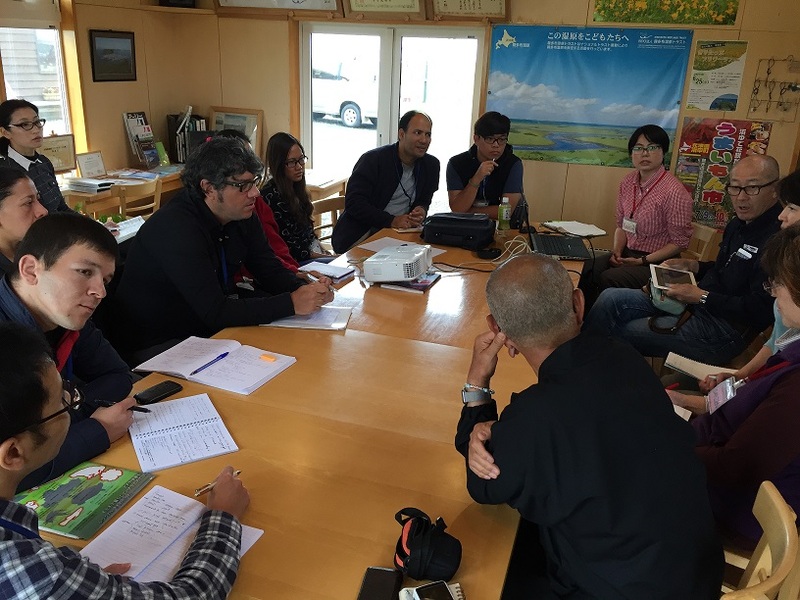 Six government administrative officials and NGO staff members involved in tourism promotion and wildlife protection from nine countries attended this training program. Countries represented were Georgia, Myanmar, Philippines, Samoa, Suriname and Vietnam. 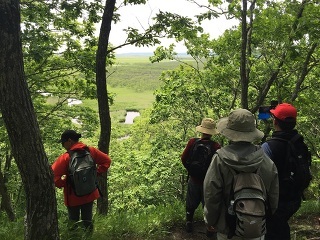 The participants experienced eco-tours involving local residents that take local environments and wildlife into consideration at Nakasatsunai Village, Lake Shikaribetsu and Kushiro wetlands (specifically Kiritappu-shitsugen, Bekambeushi-shitsugen and Kushiro-shitsugen). There, they witnessed examples of sightseeing tours operated by local residents that take advantage of local industries, such as agriculture, livestock farming and fisheries. 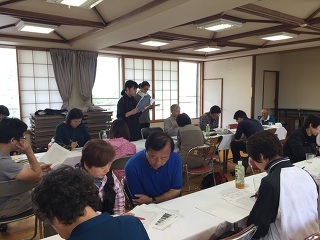 The participants then traveled from Hokkaido to Tokyo and Kyoto to participate programs allowing them to gain insight into the perspective of eco-tourism from certain aspects of Japanese history and culture, including Japanese traditional way of life, and historic sites. They were also given presentations on eco-tourism theories and policies. The participants also visited Okinawa, where they participated in sea kayaking and other programs to learn how local people utilize eco-tourism with their viewpoints and experiences. On the last day of the course, the participants presented their final reports at the JICA Tokyo International Center. 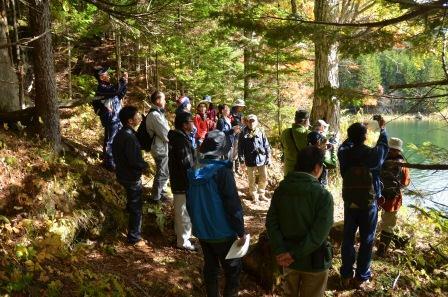 The concepts were tailored to actual situations in each country, and included ideas developed in Japan to encourage the use of natural and cultural regional assets in order to promote tourism and the allocation of profits in a way that will benefit the relevant locality. 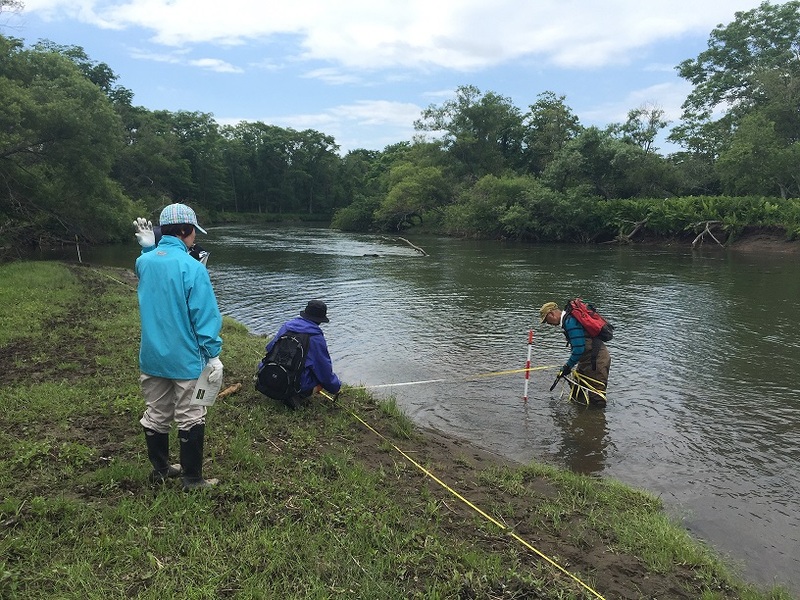 On 10 July 2016, a public participation survey on a restored river environment was conducted in the Kayanuma District of Shibecha Town, where the meander of the Kushiro River has been restored. This was the thirteenth survey since 2010, and was attended by 27 people including local residents and KIWC staff members. 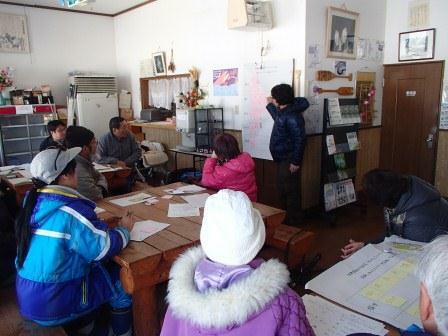 After the survey, participants assembled at a nearby facility to look back on and summarise their surveys. They then compared their survey results with past data and discussed changes they found. The event provided valuable opportunities to witness the works and impacts of the meandering river. This initiative was implemented with the River Improvement Fund provided by the River Foundation. 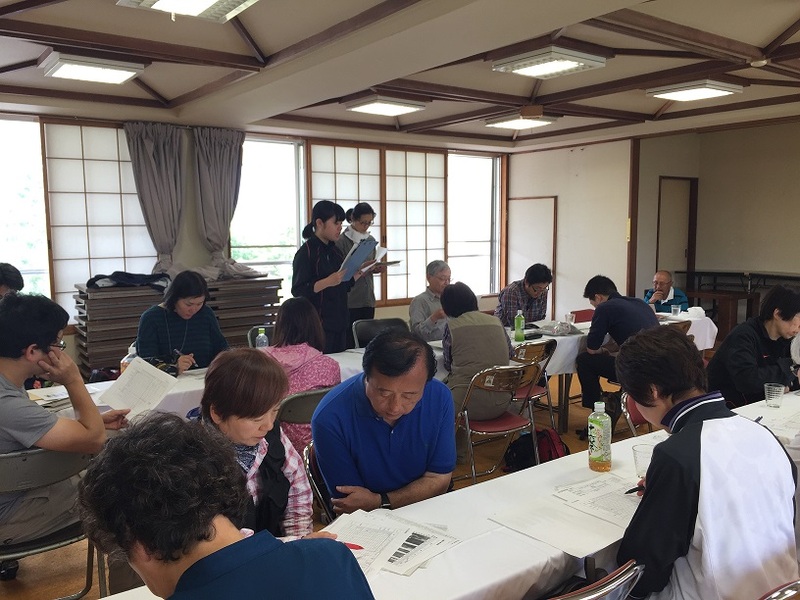 On October 15, 2015, the KIWC Technical Committee held an on-site study meeting to examine case examples under its 2013 – 2015 research theme of blessings of wetlands in communities. 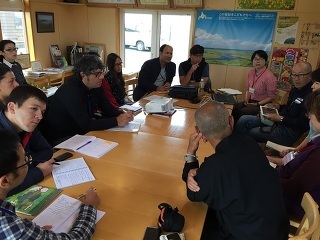 Committee members visited Hyotan Marsh, Lake Taro and Lake Jiro among Lake Akan’s neighboring lakes under the guidance of Dr. Isamu Wakana, a KIWC Technical Committee member and the curator of Kushiro City Board of Education’s Marimo Laboratory. The first stop was the shallow eutrophic Hyotan Marsh, which has an average water depth of just 2 meters. Its increased summer phytoplankton growth causes water turbidity and a sparse population of underwater plants. Dr. Wakana’s commentary also covered the terrain upstream of the marsh. The Committee members then moved on to the trailhead of Mt. Oakandake to visit Lake Taro and Lake Jiro. The water in the latter is clear because the yellow-brown lakebed mud is not agitated, making it visible from the surface, and has a blue hue when viewed from inside the lake. 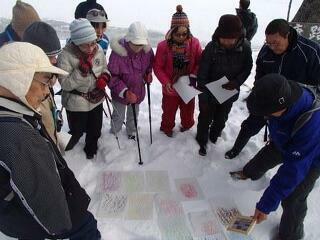 From Lake Jiro, the Committee members climbed almost vertically to an area with a cave from which cool wind blows. Ground temperatures in this area are under 1°C, indicating the presence of permafrost. This cave area is home to flora from northern regions, whereas the area on the Mt. Hakuto side provides a habitat for plants from tropical and subtropical regions. The luxuriant growth of different types of flora in these areas despite their proximity demonstrates the Akan region’s high level of biodiversity. The area is also known for lakes and marshes that show the ecological succession of lakes. Its forest roads and mountain trails provide easy access to Lake Akan’s neighboring lakes, including Hyotan Marsh, Lake Taro and Lake Jiro. These characteristics make the region advantageous for research activities and as a place for learning. Lake Akan is often associated with marimo algae balls and hot springs, but the area’s lakes are rich in other areas of diversity and potential. Possibilities for local research include: (1) genetic studies of fish and other organisms in Lake Akan, in neighboring lakes and elsewhere; (2) development of narratives based on traditional views of nature in the culture and history of Ainu people; and (3) efforts to strike a balance between environmental conservation and tourism promotion. The region is expected to continue yielding novel research findings that will highlight its uniqueness and significance.